Portolano colorblock scarf in cashmere. For in-store inquiries, use sku #2380108. 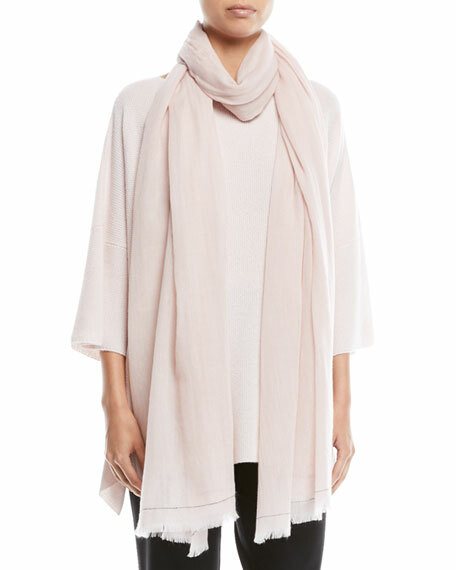 Eskandar large scarf in hand woven fine mélange cashmere. Ample room to wear multiple ways. Eyelash fringe edges. Imported. Model's measurements: Height 5'10"/177cm, bust 31"/79cm, waist 24"/61cm, hips 34"/86cm, dress size US 0/2.